Arrow Sewing Cabinets: "Remake That Tablecloth" Contest! We had so much fun with our last contest, "Get Your Tote On", we've decided to have another one! This time we want to see what all of you can do with an old tablecloth. We got so many suggestions from all of you when Hether posted on facebook about the pretty ones she got at the antique fair. Check out her blog for full details, she's got other great projects on there as well: Beccy's blog. Need more inspiration? Just Google "old tablecloth projects", and you'll be amazed at some of the cool projects that pop up. We've seen laundry carts, aprons, slipcovers - just about everything! I'm sure you'll all be inspired to come up with some cool ideas of your own! 2. 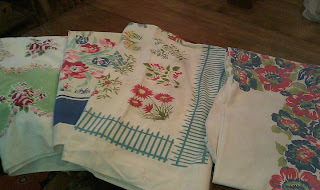 Please email us two pictures - a "before" picture of the tablecloth, and an "after" picture of your completed project. They should be no larger than 600 x 900 pixels, and should be emailed to rebecca@arrowcabinets.com by Monday, September 19th at 10 am, along with your name and mailing address. You may enter more than once. 3. All photos will be posted in a slide show here on the Arrow blog on Wednesday, September 21st. 5. 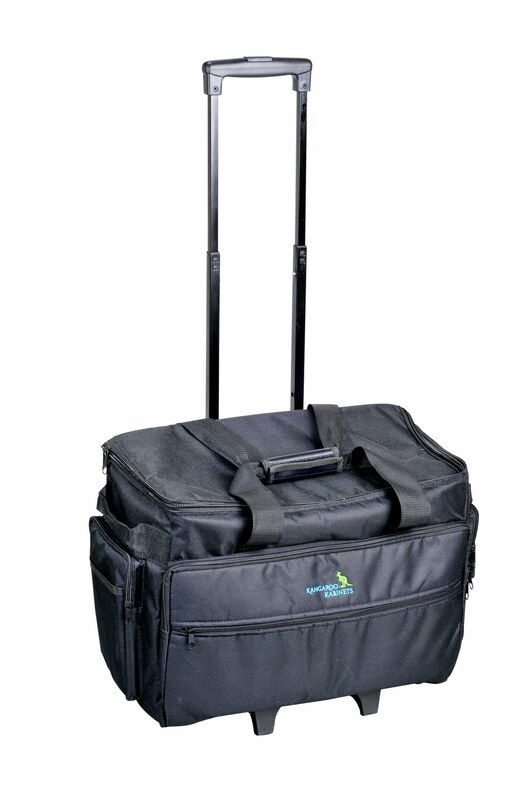 The winner will receive our awesome Kangaroo Kabinets rolling tote! If you have any questons, please email us at rebecca@arrowcabinets.com. Good luck, and have fun with it! What a nifty contest. 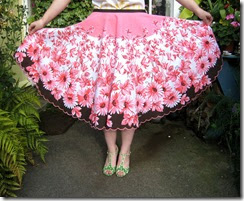 The skirt is gorgeous!